Want to lose weight faster and easier than ever before? Then you need Phen375, or at least that’s what RDK Global wants you to believe and they certainly know how to toss out a good sales pitch. Yay! Fat burning machine! It’s every dieter’s dream, but the “fat burning machine” line has been employed by a number of manufacturers and many dieters have been left feeling angry and disappointed when the machine failed to get out of first gear. Dieters want results not overused promises, and with a price tag of £46.00 / $69.95 for just a months supply 30 tablets those results will need to be very good indeed. 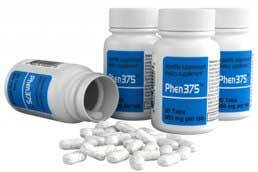 Phen375 has been in circulation since 2009 – it is arguably the most ‘copied’ commercial diet pill in existence. The cost for one month is approximately £45.00 but special offers are available via official website reducing the cost to around £37 a month (when the the buy 3 get 1 free deal is taken up). Phen375 is not cheap – but quality seldom is. If £37 a month is too much for your monthly budget then recalculate! As the name suggests, Phen375 is being marketed as a legal substitute for the prescription only weight loss drug Phentermine. 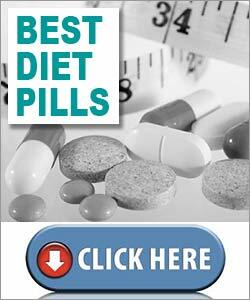 Phentermine is arguably the most powerful appetite suppressant ever developed. Unfortunately, Phentermine usage has also been linked to numerous side effects, and it is known to be addictive, so the present laws in many countries limit its availability to people who have a doctor’s prescription. 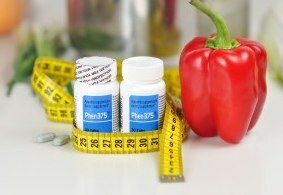 This has left a gap in the market that many manufacturers are trying to fill, but most Phentermine substitutes turn out to be overpriced formulations that under deliver on results and leave dieters disappointed and out of pocket, so it’s easy to be overly sceptical of any supplement that bears the “Phen” prefix. According to the manufacturers Phen375 works as a combined appetite suppressant and fat burner that can deliver weight losses of up to 25lbs in 6 weeks. When it all boils down to it weight loss and weight gain is simple math. If the body receives more calories than it needs it will store those calories as fat. If it receives an insufficient supply of calories it burns the fat and uses that instead. Appetite suppressants lower the calorie intake by quelling the desire for food. Fat burners boost the metabolism and ensure the body burn fat faster than normal. When the two are combined it should, in theory, maximise results. But true Phentermine is designed to provide appetite suppression only, so if Phen375 really does deliver the same astounding weight loss results as true Phentermine the formulation will have achieved this in a slightly different way. That’s just nit-picking though. Results are what count. Let’s see if the formulation is likely to deliver them. Calcium (carbonate): Traditionally used in stomach powders calcium carbonate is also known to be an appetite suppressant. Chromium Pikolinate: A fat burning ingredient that became popular in the 1950s when researchers tested its abilities on rats, which subsequently began burning body fat at an accelerated rate. L-Carnitine (L-Tartrate): Some studies suggest l-carnitine usage can boost energy levels and provide accelerated fat burning. Dendrobium Nobile Extract (From Orchids): An up-and-coming fat burning ingredient that can improve mental focus and provide many other benefits. Caffeine Anhydrous: Caffeine can suppress the appetite, improve focus and provide an energy boost. Cayenne (Capsicum): A derivative of the red chili pepper. The capsaicin alkaloids in cayenne have a proven fat burning ability. In one study half a teaspoon of cayenne was shown increase the calorie burn by 10 times the norm rate (over a four hour period). The Phen375 marketing campaign may be overly hyped, but the formulation looks very good indeed. We are impressed. One tablet should be taken (with water) 20 minutes before breakfast. A second tablet should be taken (with water) 20 minutes before lunch. The Phen375 website showcases a number of positive testimonials along with some convincing before and after pictures and video testimonials. No side effects are reported, but pregnant or nursing mothers should never take any brand of dietary supplement unless their doctor approved its use. Anyone who has any health issues or concerns should also consult a doctor before use. Phen375 does not truly mimic Phentermine’s methodology because the formulation has been designed to work as a fat burner as well as an appetite suppressant, but the formulation does appear to mimic the drugs abilities. Some of the customer before and after shots on the Phen375 website are nothing short of amazing and a look at the formulation suggest such results should be attainable by any Phen375 users who incorporates the tablets into their weight management routine. Side effects are unlikely and there is no change of addiction, so is Phen375 a good substitute for Phentermine? We would have to say that it is. Phen375 can only be purchased from the Phen375 website. Each bottle costs around £45.00 / $69.95, but bulk buy incentives are available to provide customers with special offers that equate around £37 a month. Phen375 has one of the highest re-order rates in the industry and is hugely popular in the UK, Ireland, the United States, Canada and Australia as well as several other European countries.